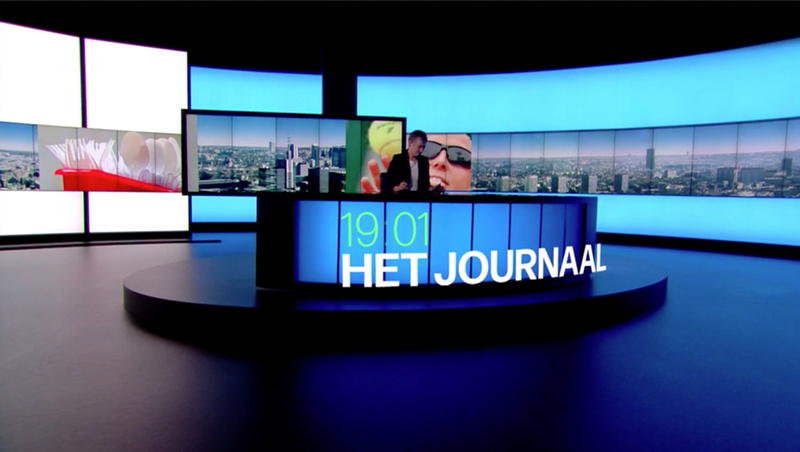 Belgian newscast VRT Het Journaal has updated its primary open that combines its studio video walls with augmented reality. 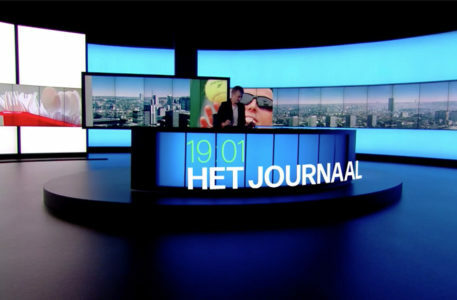 The curved walls of the studio, which are created using a row of vertically mounted video panels, are now used to display a sweeping skyline of Brussels instead of the simulated newsroom imagery previously used. As the announcer opens the show, the camera moves from an extreme wide view of the studio and pushes into the anchor framed camera right and a topical graphic on the video wall behind.